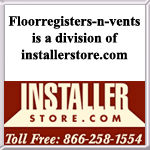 Looking for round register vents that are strong enough to be used on floor? Made from solid bronze, this register is durable enough to use in the wall, ceiling or on the floor. This round Renaissance diffuser has a steel damper which will open and close off airflow. Order today! This item is considered Special Order, Non-Returnable and cannot be canceled once placed. Lead time is 7 to 9 weeks. Sand cast aluminum vents by Classic Grilles are made with a 1/4 inch thick faceplate. Install this round register cover into your ceiling or wall with the screws and pre drilled holes which are provided. This item is considered Special Order, Non-Returnable and cannot be canceled once placed. Lead time is 7 to 9 weeks. This handmade round decorative heat register is made with a sand cast mold by Classic Grilles. Our white bronze metal vent is offered in this Renaissance design and will have a protective top coat applied to the finish. This item is considered Special Order, Non-Returnable and cannot be canceled once placed. Lead time is 7 to 9 weeks.